Edgar Lungu has secretly directed that his daughter Tasila becomes deputy Mayor of Lusaka in further punishment to the Shakafuswa clan who boasted of being Mafia. Earlier it was Jonas Shakafuswa’s son Christopher who was fooled that he was the party’s choice. Tasila made her intentions public during an interview and it is highly expected that she will go unopposed or councilors will fool Shakafuswa that they are with him but vote for Tasila. 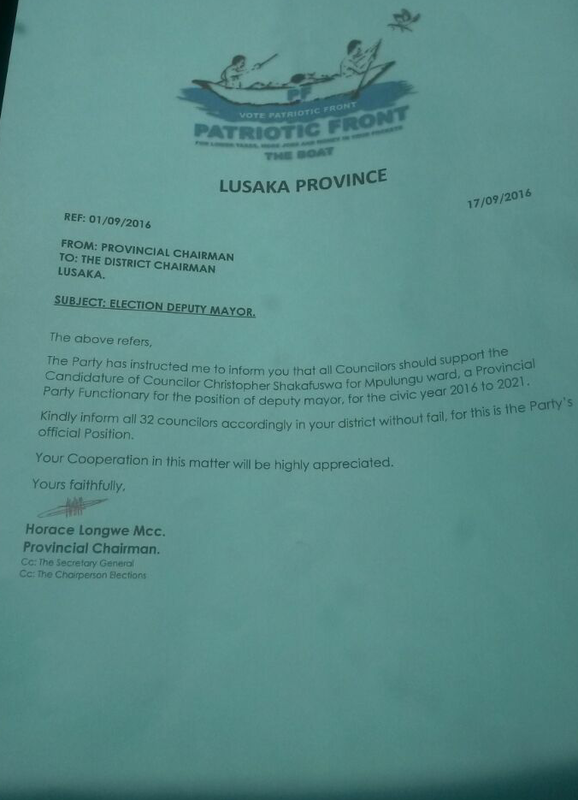 Like most dictators, Lungu is raising Tasila for even a bigger, bigger position in the PF. Meanwhile the Watchdog has received information on how Lungu colluded with other PF insiders to outsmart Jonas Shakafuswa, his brother Ephraim, Mwenya Musenge and even Chishimba Kambwili, but this will be availed later.